Facebook is in the middle of another hubbub over companies asking prospective employees for their login information for the social networking site as part of the hiring process, but you can make the obvious privacy concern a non-issue by being careful. Here are a few tips to help you enjoy the service and not worry about interfering with your ability to land that perfect job. The bottom line: A little Facebook savvy goes a long way. First, understand that Facebook isn't private. Yes, you can choose your friends and to some degree limit what people see about your posts, but plenty of interested parties actually have a window into what you're sharing. For one thing, the social network keeps track of everything you do on its territory so as to push hyper-targeted ads to you. Timeline, for example, has been widely criticized for communicating too much about users because it visually aggregates everything you've ever done on the site -- the information you've included on your profile, your photos, everything you've ever "liked," any Facebook apps you’re using, a map showing where you've been (according to geo-tagged posts and photos), as well as a timeline of everything you’ve ever posted. And by encouraging people to create an online scrapbook and add to Timeline extra information about their lives -- all the way back to birth if they want -- Facebook gleans even more personal data about its users. The point is to deliver ads that users are more likely to click on. 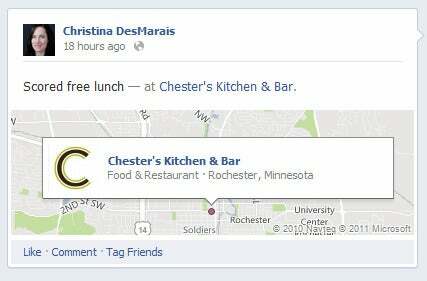 Posting where you are or liking a restaurant can be utilized by Facebook. 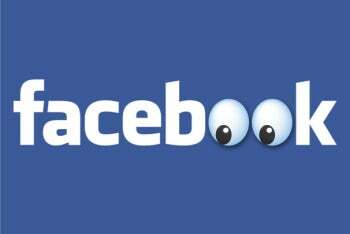 Speaking of ads, PCWorld recently reported that "liking" something on Facebook can make you an unwitting and unpaid endorser of an advertiser’s products or services. Once you "like" a company page, check in at a merchant location, post an update mentioning a product, service, or company, your activity can be used as an ad. That's because your friends may receive an update informing them of your activity -- whether you want Facebook to share it or not. You can't opt out of these Sponsored Stories. Second, use online etiquette so there's less dirt on you to find. A couple of online behaviors are not only annoying to other users, they can be telling to potential employers investigating your online profile. Take political spewing, for example. You know that Facebook friend who constantly posts commentary about political issues? How often are you completely in agreement with his perspective? That’s because political opinions are divisive. Polite Facebook users don’t push their political agendas onto their friends. Online complaining is another common practice that makes people look bad. If your girlfriend just dumped you or you lost your house or job, it's best to keep it to yourself -- at least digitally. The people who want to hear your sad story have a relationship with you in the real world; Facebook isn't the place to air your troubles. Third, use Facebook to your advantage rather than disadvantage. Instead of worrying about what people will find when they vet you online, how about being proactive about everything you share? Like it or not, your digital identity is what defines you to potential employers and recruiters seeking you out online. And if you're interested in pushing your career forward, experts suggest that you take your digital identity seriously. The right words, photos, and social media banter online can impress a prospective employer or recruiter, while the wrong ones may turn them off. All of this isn't to say that the practice of asking someone to hand over their social media login credentials is OK -- far from it. For one thing, your friends haven't necessarily given permission for non-friends to see their posts. At the same time, over-sharing online can cause you problems because people you don't expect may be watching; avoid doing so and you'll be better off.